Discussion on the SAAF and other southern African air forces. Board index » The Forum » The SAAF! On the topic of "Mirage F1 AZ's, where are they?" I noticed some some interest in the CZ varient and some people mentioning Mirages at universities so I decided to create this topic on the F1CZ. Most of the info is from the IPMSA web site. 200: Written off on 15/02/1979 after inspecting the crash site of F1 AZ 246. 201: Static display SAAF Museum Port Elizabeth. 204: AFB Ysterplaat at Young Falcons quarters. Incorrect colours and stencilling. 207: Stellenbosh University, Structure Laboratory, Mechanical Engineering. 208: Written off 04/11/1980 near Groblersdal. 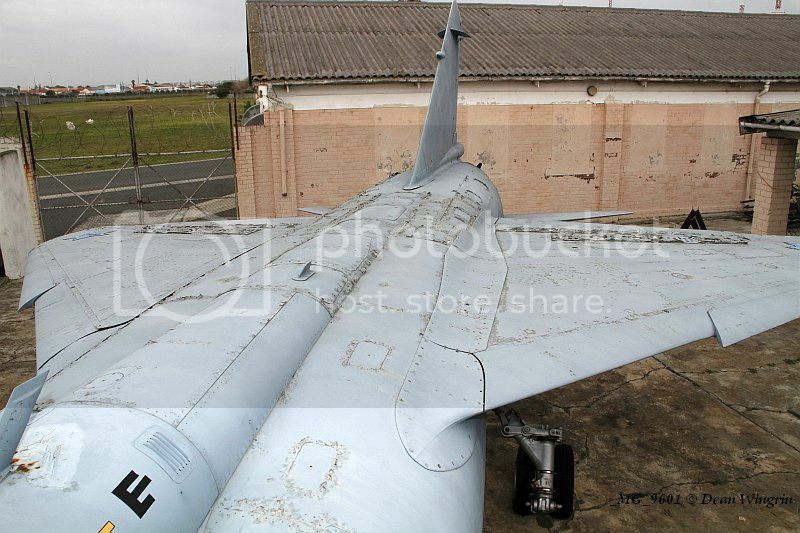 209: Damaged during landing at AFB Waterkloof, Current status and location unknown. 210: Located at CSIR as outside exhibit, not accesible by public. 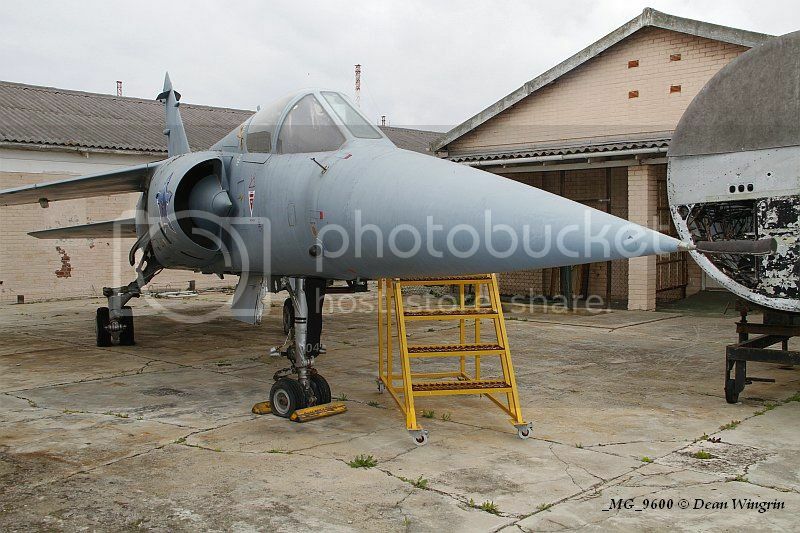 211: Currently being restored for static display, SAAF Museum Swartkop. 212: Restored and placed on plinth at University of Pretoria. 213: SAAF Museum Ysterplaat on static display. Incorrect colours and stencilling. 214: Broken up for fitment of Russian engine in 1992, later scrapped. 215: Written off in 1986, Struck mountain ridge on low level navigation exercise. Last edited by Striker on 07 Oct 2011, 08:51, edited 2 times in total. 204 is now at AFB Ysterplaat at the Young Falcons quarters. 213 is also at AFB Ysterplaat, part of the museum's static display in 4 Hangar. Thank you for the update!!! Have the colours and stencilling been corrected? No, unfortunately they are still in their incorrect livery and stencilling. I think, therefore i am. I noticed that earlier in this thread it was mentioned that the whereabouts of F1CZ nr 209 is unknown. Is this still the case or does anybody know what happened to her? Didn't Aerosud buy the Mirage F1s, or did they only buy the AZs? Aerosud purchased only the F1AZs - the F1CZs were either scrapped or given to museums and other institutions. F1CZ - tailnr 204 is sadly being scrapped due to her bad condition - restoration is not viable. Her nose section and other parts are to be stored and it seems that pieces would also be used in the restoration of 211 at Swartkops. 209 is not yet accounted for? Sad to see 204 and her condition as a result of standing outside in the elements. She certainly does appear to be in a bit of a "toestand". A plan is simply a basis for change. I found this photo of 209 posted by Mark Berry on Facebook today. 209 is the unaccounted F1CZ on the above list. I get error message when I click on the link, something about the the the content being temporarily unavailable? Can someone tell me what aircraft is standing at the following co-ords? It looks to be a Mirage F1CZ ? Here's the pic of 209 ... posted by Mark Berry to the 3 Squadron - Semper Pugnans, FB page.